As an Independent Furniture and Spatial Designer I help my clients make their homes look their best and function so they compliment their lifestyle instead of limiting it. Far more than just a Kitchen, Bedroom and Bathroom Design Service, I can help you work out what you want your home to achieve and then design, source and project manage to make it happen. By being independent I am able to source the right products for you rather than being limited to specific suppliers. Having worked for both DIY and high-end bespoke suppliers in the past I am aware that most of the services give the impression you are buying your products from a designer, when all to often you are actually having your rooms designed by a salesman! I studied Furniture Design because I got a kick out of making a difference in people's lives through good design. It's the same reason I'm still doing it today, just ask my clients! If you have a project that needs a bit more creative thinking please give me a call. We were given David’s name by friends who had recommended his work and we were not disappointed. We had three rooms to reconfigure in the project; kitchen, utility room and toilet. From the outset David’s project management was professional, well informed and helpful in every aspect of design, commissioning and implementation. We are really pleased with the result and have commissioned him again for our master bedroom. After extensive research we settled on using the services of David Aldrich Designs. This proved to be an excellent choice and well worth the cost. David was extremely pleasant to work with and was most innovative, producing a brilliantly designed kitchen of the highest quality. His contractor, selected after joint consultation, was excellent as were all the tradesmen involved. We would not hesitate to consult David again. David was fantastic to work with right from the beginning to the end of the project. Nothing was too much trouble. Always on hand when required and his project management skills were invaluable when I had a few challenges with the builders. He was very pleasant to work with and always came up with good ideas and was conscious of cost and helped source many goods for me at reduced prices. My project was completed during the summer months whilst I was on holiday and David found a solution to water the plants when the automatic watering system broke. He was very thoughtful and would go the extra mile to help in anyway he could even when the problem was not in the project brief. I would recommend David without hesitation and he is already working on a project for my sister following my recommendation and the outcome of my project. We instantly knew that we needed to hire David when in his initial consultation he made an off the cuff suggestion that completely changed how we were looking at our kitchen. He worked closely with us to ensure we would have a new space that worked for what we needed and which would look beautiful. Because he doesn't work for any one company he was able to provide suggestions of kitchen units and worktops that matched our style and made the most of our budget, and he did all this while visiting us at home around our work schedules. He organised builders quotes without us having to be there and did everything possible to make the process as painless for us as he could. Once the project started his assistance as a project manager was invaluable - we had serious issues with the builders (which were our choice, not his - a mistake on our part!) but he really went above and beyond to make sure that their work was carried out to the correct standard - which involved repeatedly insisting things were re-done. Thanks to the builders the process was very stressful, but it would have been a million times more so if not for David, and thanks to him we now have a beautiful, functional kitchen that we love using. We were delighted with the service David gave us. Nothing was too much trouble and he was exceptionally patient with us as we evolved our ideas, even though it meant drawing up new plans. He was always at hand when we needed him and he took away a lot of the stress by managing the project throughout. 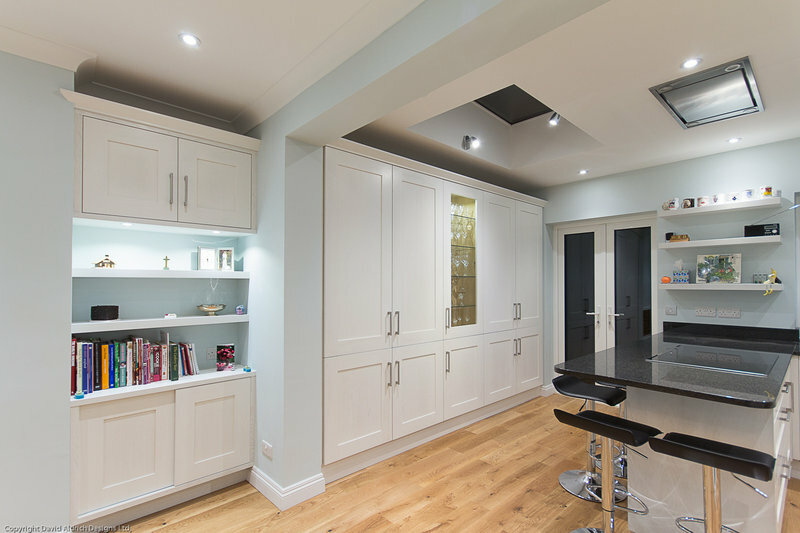 Our original idea for a new kitchen turned into a redesign of the ground floor with a new configuration of the hall, which enabled us to accommodate a utility room. We are extremely happy with the result. Great service - very happy to recommend David! We were initially not sure of the nature/scope of David’s design service. But one fairly big project later, we are really glad we engaged his services and he was worth every single penny. The key is that he works for you, his client, on a fully transparent basis, and has no vested interest in, for example, upselling kitchen units. At the initial no-obligation meeting, David listened carefully and quickly grasped what we wanted to achieve. He showed us that rearranging things in the kitchen would make it more functional, without having to extend it. 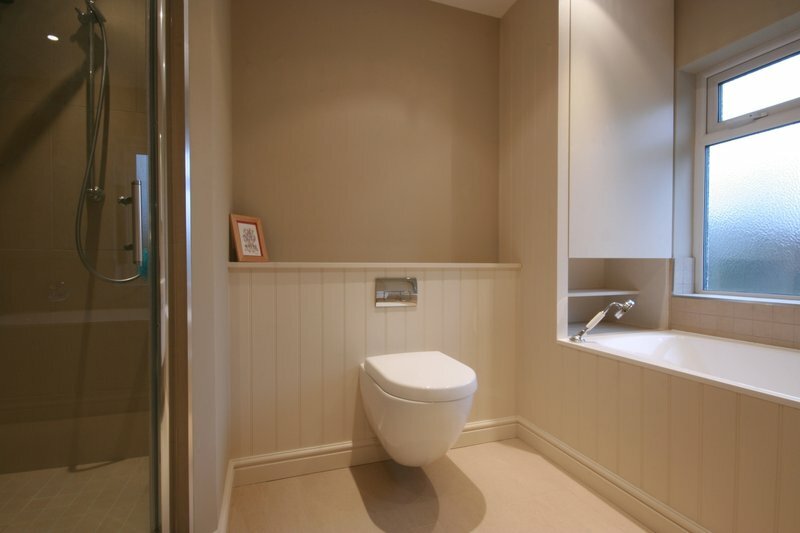 He then worked with us and the architect, to design a loft extension and also two new bathrooms on the first floor. In addition he produced designs for the kitchen and redesigned the shower room on the ground floor into a larder and WC. David helped us to source and choose bathroom furniture, kitchen units, etc, finding good quality within budget. He also helped us to ensure everything arrived in good time, and advised on many small (but very time-consuming) details e.g. what clock to get for the kitchen. His technical skills, ideas and knowledge alone made the project easier for us, but beyond that he was also always patient, friendly and helpful. David understood our needs and preferences, and the end result is that we have rooms that are not only lovely spaces to be in but also work very well for our family on a practical level. For a fixed fee, he delivered a first class service right through to the end (and beyond!). We would not hesitate to recommend David. When we first contacted him, we were not quite sure of the nature and scope of his design service. But one fairly big project later, we are really glad we engaged his services and he was worth every single penny of his fee. The key is that he works for you, his client, on a fully transparent basis, and has no vested interest in, for example, upselling you kitchen units or earning commissions. A year after we moved into our new house, we consulted David to see how we could improve our living spaces and address the things we were not happy with, such as tiny bathroom, old and impractical downstairs shower, and not enough kitchen worktop space. At the initial (no-obligation) meeting, David listened carefully and quickly grasped what we wanted. He showed us that we did not need to extend the ground floor (a big saving already), but that rearranging things in the kitchen would make it more functional. He worked with us and the architect, to design a loft extension - with utility room, shower room, bedroom and study - and also two new bathrooms on the first floor. 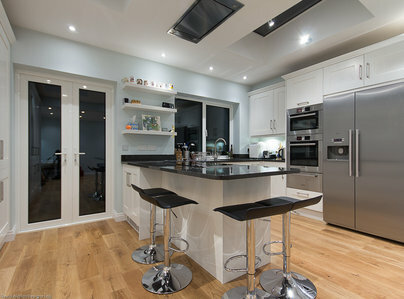 In addition he produced designs for the kitchen and redesigned the shower room on the ground floor into a larder and WC. David helped us to source and choose bathroom furniture, kitchen units, kitchen appliances, etc, finding good quality things within our budget. He also helped us to make sure everything was there in good time, from light bulbs to extractor fans to radiator valves, as well as advising on the smallest details such as where to hang pictures and which clock/chairs/table to get for the kitchen. David?? ?s technical skills, ideas and knowledge alone made the project easier for us, but he was also always patient, friendly and helpful. Delays and difficulties caused by the builders??? poor time management made the project more stressful and time consuming for David than he had anticipated. Instead of complaining about that, he went above and beyond to make things as easy for us as possible, acting as a go-between with the builder when necessary (even though he was not project managing for us ??" he lives too far away from us for that to be practical). David understood our needs and preferences, and the end result is that we have rooms that are not only lovely spaces to be in but also work very well for our family on a practical level. For a fixed fee, he delivered a first class service right through to the end (which was much later than anticipated at the outset) and even continues to help us with niggles months later! 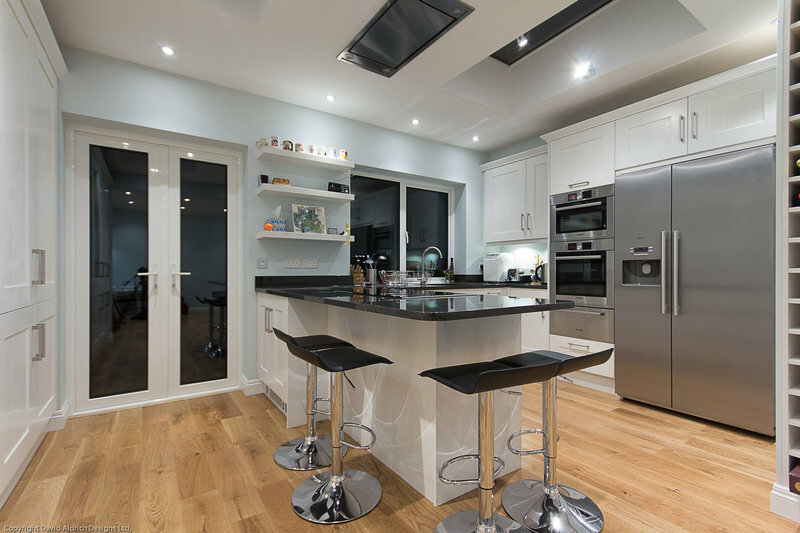 David provided a design to replace an unusual inefficient bespoke kitchen with a modern user-friendly replacement. i was most impressed by the time he took to carefully assess my needs and life-style. i was involved throughout the process (which I found enlightening and fascinating). I now have great pleasure and ease in using my lovely new kitchen. Well worth the fee. David designed our new kitchen. He produced many good ideas with great attention to detail and his plans are excellent and set a formidable technical standard for this speciality. He was extremely helpful throughout the project bringing his practical skills to bear, when necessary, to provide continuity of installation. We thoroughly recommend him. David designed, tendered and oversaw the installation of our new kitchen. The results are fantastic and we have so much more than just a simple kitchen. He brought years of experience and suggested and implemented some really great ideas that we had never thought of. Really recommend him.